← Be The Woman You Need To Be. but rather, have what was advised to me, shared with you. An advice, I’ll hold on to forever. “Do you know Sameera.. Despite everything that we think we need in a guy… All we really need is love and compassion and a desire to please Allah together? Everything else is.. A mirage. A part of Dunya though we don’t realize it. It is only about.. Our perception and thought of marriage and our life and what we think we DESERVE. If marriage was the end all and be all of everything.. If marriage partners decided how good we are and how much Taqwa we have.. Then there would have been no marriage in the world! Did 25 yr old Virgin Muhammad deserve 40 yr old khadeeja, widow and mother and unattractive (according to Ayesha, lol)? Did Hinda, killer of Hamzah, deserve to be said ‘radhi Allahu anha’ after her name? Do good women deserve abusive husbands? Does any spouse deserve a cheating partner? The point is… Marriage is the decider of none of this. 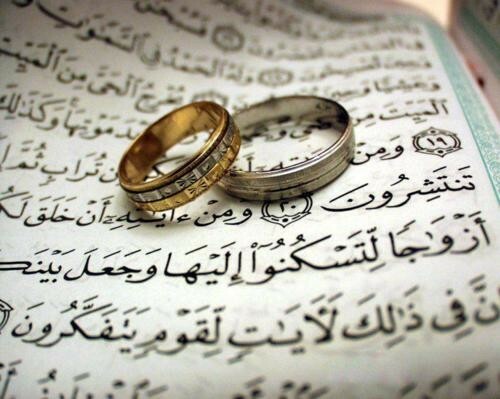 Marriage is a contract that two people will live together in halal, maintaining the boundaries of Allah, raising God fearing children, fearing each other’s rights given by Allah. And love and mawaddah that we are all yearning for are after effects of sincere fulfillment of this contract. “Then that is all Allah wants from you. If you are ready to fulfil the rites of Allah, then you are deserving of a pious and God fearing man who will help you and who you will help. We don’t start by being deserving of Allah’s love.. We EARN it by living each day, in tears and in smiles, in ups and downs, in sins and then repentance. We are all struggling to get there. Some are more steadfast and will hence reach faster. Some get distracted by the sights and hence will take more time to catch up. But as long as we are ON the path, He will take care of us. And marriage is a big part of that care He gives us and support He provides us. So if on this path, you are able to find a man who your wali approves of, and he loves Allah and cares for you and will help you and take help from you.. Then he is a worthy fellow traveller to choose as a spouse and partner. In all my continuous mistakes Sameera, and what I suffer after that.. I only realize one thing again and again.. Protect (the duties you have towards) Allah, and He will protect you. And how often we leave His boundaries, and then wander in confusion. This entry was posted in In Thy Name We live, Miscellaneous, Reflections and tagged Allah, Allah SWT, Happiness, Islam, KeepGoing, Love, Marriage, PersonalVignette, Reality. Bookmark the permalink. Jazakumullahukhairan for another brillinat post. Just to let you know, major scholars of Seerah and History say her age was actually 28-32 and not 40. 40 was the opinion of Sheikh Tabari and it got very famous, hence that’s what we always read.